Discussion in 'General Discussion' started by Cloud Strife, Mar 27, 2008.
i've not been posting much lately, mainly because school is just taking up all my time, but my family and i are smack dab in the middle of a Disney vacaton. earlier today we went to meet Mickey, Minnie, Goofy, Pluto, and Chip and Dale. 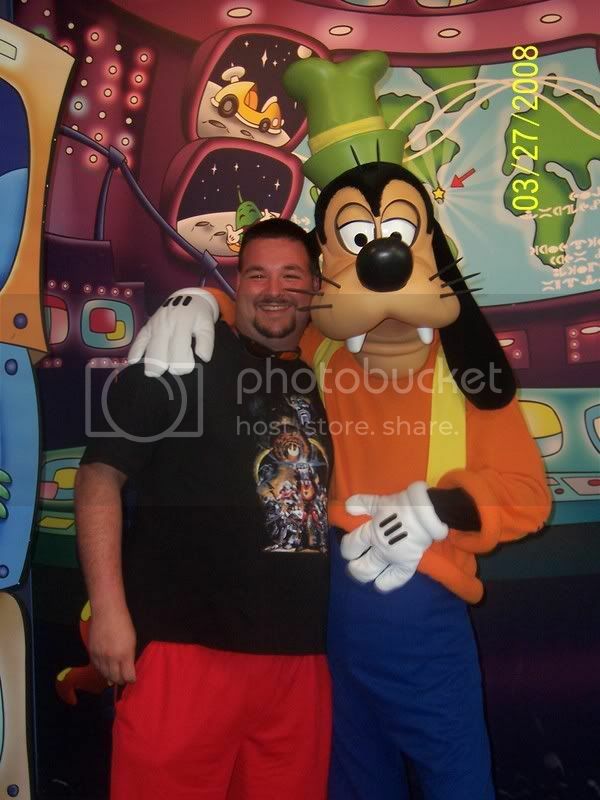 we come up to Goofy, who happenes to be one of my fav's so i said after my daughter get's his autograph and picture, i go up to get a pic with him. he looks at me, points to my shirt and gives me a BIG thumbs up! i was wearing my 86' movie poster shirt. i thought it was cool, Goofy is a Trans-fan! when my wife saw him do it she groaned and said, "Oh my GOD! i can't believe it!" Maximum Burn JETS AND HELI!! I LIKEY! He's in disguise, lovable Disney character by day and collector by night. Face it, it's pretty hard to be called a sci-freak in an amusement park. Hey, I have that shirt. It's awesome. Also, you look EXACTLY like my best friend, except he is 6'5"...it is really weird. Is wrong that I thought this thread was going to be something about transsexuals? Anyways that's pretty cool, for Goofy anyways. Ok, who amongst us wears the Goofy costume? Reveal yourself! haha thats cool. i had a friend who could do an impeccable impression of the goofy signature A-HOO-HOO-HUH-HEE-HEE. Oh Goofy, what a character! wow goofy is a transformer fan did not know that! And now i know and knowing is half the battle! and you are his best friend. Mystery solved. 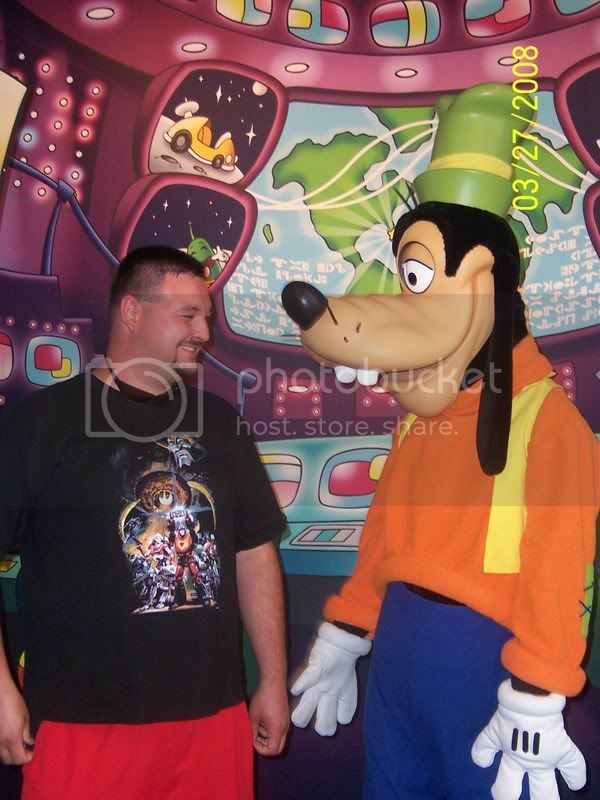 DAMN how tall is that Goofy?